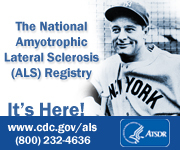 Sue has been the Executive Director of ALS of Michigan, Lou Gehrig's Disease, since February 1999. She began her association with the organization in July 1998, first serving as a member of the Board of Directors. Sue has a personal interest in helping pALS and their families as they live with ALS. Sue's dad, Al Burstein, lost his battle with ALS in September 1987. Even though Sue has had personal experience with ALS, she has gained extensive experience and insight into this devastating disease through her years at ALS of Michigan . "It has been my honor to have been able to work with so many pALS and families over the years. I am always amazed at the grace they display as they live everyday with ALS", Burstein-Kahn said.Previously, Sue was the Executive Director for Kenny Foundation, an organization that provided services to people with disabilities. She is also past president of Community Health Charities of Michigan. Sue is a graduate of Eastern Michigan University and pursued additional post-graduate education at Walsh College. Lisa is a licensed and certified Speech-Language Pathologist who is nationally recognized for her expertise in Augmentative/Alternative Communication (AAC), specifically in helping people with severe physical challenges gain access to communication technology. Lisa has been a part of ALS of Michigan since July of 2000.She developed and implemented the AAC Center, a regional clinic to provide AAC and Assistive Technology services to pALS throughout Michigan. She is dedicated to ensuring that pALS have a way to communicate throughout the course of the disease, helping them to implement low tech and high tech methods of communication. She provides evaluation and training for pALS in need of communication, speech generating devices, and computer access as well as telephone technology. Lisa holds a Master's Degree in Speech-Language Pathology from the University of Wisconsin-Madison. Lisa is also an adjunct faculty member of the State University of New York at Buffalo. Kim came to ALS of Michigan in September 2018. She works closely with our staff, volunteers and donors on a variety of fundraising events. These include the annual Walk 'n Roll for ALS, Lou Gehrig Day at Comerica Park and ALS Auction Mania, as well as our numerous third party events hosted by friends and family of our organization. Kim has a Bachelor's degree in Communication from Michigan State University and is accredited in public relations (APR). She has more than 25 years of experience in nonprofit management, marketing, public relations and special events and is passionate about raising funds for people with ALS as a very close friend passed away from the disease. Judi has been with ALS of Michigan since November of 2001. During this time she has assisted pALS and their families in utilizing services provided through the organization. She is instrumental in collaborating in the development of conferences, workshops and seminars to help educate families, home care agencies and other organizations about the disease.Judi assists families in locating and utilizing the Respite Care Assistance Program and follows up on a monthly basis to ensure that pALS and their families are receiving quality homecare services. "For our families, dealing with a terminal illness is devastating, but knowing that I have helped in some small way to ease the burden is very rewarding.It is such an honor to be a part of this team." Mary joined our team in October 2016 with extensive experience as a social worker, mostly in the medical realm. Her role at ALS of Michigan is centered on helping families obtain the resources they need to effectively deal with their medical condition. She also provides emotional support to help patients and their loved ones cope with the stressors that come with ALS. Mary says that she is "privileged to be able to provide her passion and skills to the ALS community." She graduated from the University of Michigan with a Master's of Social Work degree. She is a Licensed Master's Level Social Worker (LMSW) and also holds the ACSW credential. Linda joined the ALS of Michigan team in the fall of 2012. As a social worker and patient services coordinator for ALS of Michigan, Linda's role includes assisting with calls and emails for support, information, and resources along with our loan closet, facilitating the Sterling Heights support group, participating in local events, and representing ALS of Michigan at the Henry Ford ALS Clinic. Linda graduated from Wayne State University with both a bachelor's and Master's degrees in social work. She has 18 years of experience as a social worker, with a focus on the medical field. "I feel fortunate to be working with ALS of Michigan, so that I can be there for people as they cope with the many changes associated with this disease."